Our Northern California powersports dealership is your source for Honda generators for sale, plus motorsports vehicles from Honda, Kawasaki, Polaris, and Husqvarna. We have a great selection of ATVs, Side-by-Side UTVs, and Dirt Bikes for sale, plus we’re a NorCal dealer for Honda scooters and Kawasaki Jet Skis. 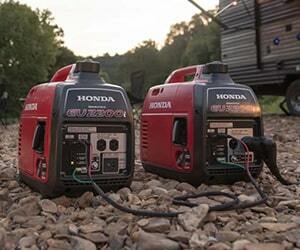 Motosports of Ukiah is an authorized dealer for Honda Power Equipment generators. We carry portable generators for home backup, recreational and industrial uses. Camping generators, RV generators – we sell all types. In fact, we sell Honda generators mail order nationwide! For three decades, you might have seen our magazine ads for generators delivered to homes and businesses across the country. Today, some of the most popular Honda generators we sell include EU1000i, EU2000i, EU2200i, EU3000iS and EB5000 models. 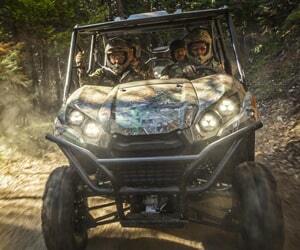 As a dealer for three brands of all-terrain vehicles, Motosports of Ukiah is your source for four-wheelers. 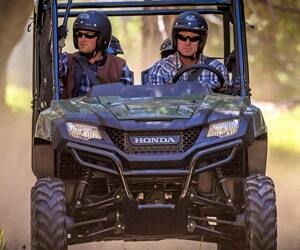 Compare all our available Honda ATVs, Kawasaki ATVs, and Polaris ATVs. Looking for a 2-seater or 4-seater Side-by-Side? Shop our lineups of Honda Pioneers, Kawasaki Mule and Teryx models, and Polaris Rangers, RZRs and Generals. Motosports of Ukiah offers fun on two wheels, too! We specialize in off-road dirt bikes, but we’re a dealer for street motorcycles as well. Compare our available Honda motorcycles for sale, including competition and trail bikes; Kawasaki motorcycles including motocross and off-road bikes; and Husqvarna motorcycles including dual-sport bikes. Count on our Service Department for maintenance and repairs for your dirt bike, motorcycle, ATV or UTV. We can service all of your work and toy motorsports vehicles. Need parts? 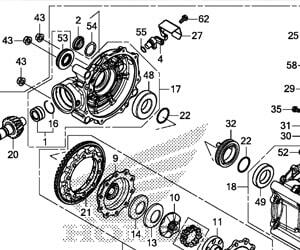 Shop our online parts fiche for motorcycle, ATV, UTV, scooter and watercraft parts. We sell accessories, too, including helmets, stickers, jackets and shirts. Contact our Parts Department if you don’t see what you need. Motosports of Ukiah is located in beautiful Ukiah, California, off Highway 101 in Mendocino County. We serve Lake County, Sonoma County, and Humboldt County as well. We’re near Santa Rosa and Clear Lake. Visit us, contact us, or call us today at 800-832-7365 for the best in sales, service, parts and financing for generators and motorsports vehicles.